Any work of traditional or digital art is a product of an artists’ imagination and relentless efforts. The world of ceramic arts is a very vast one and there have been many artists right from the start of time who have established their name and repute in the ceramic art arena. We can't exactly blame you for not knowing all of them for most of them operates mostly into art circuits. And while they are very popular in their respective worlds, the world outside that sub-cosmos do not have much knowledge of their works. So we thought it was time to throw some light on some of the famous ceramics artists of their times. 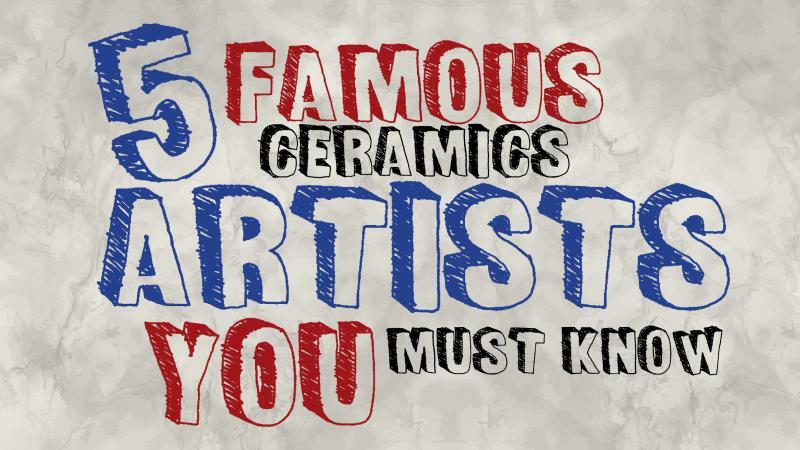 Here’s a brief rundown on famous ceramic artists biographies. These five are the best ceramic sculpture artists of their age who made their work stand out from that of others. If a list of ceramic artists who took ceramics to a whole new level will ever be made, Baet Kuhan will surely feature on top of that. In fact, we won't be making use of a hyperbole if we go on to say that she can be deemed fit to be the ceramic artist of the century for this last century. Born in 1927, Beat was first recognized for her talent in the 1950s when her authentically radical and original pieces ushered in a revolution in the quiet, peaceful world of ceramic arts. Her creations mostly deal with shapes and forms that have separate entities. But each entity is incomplete without the other and together they give way to the formation of a larger, greater whole that makes them all complete. Baete likes to explore traditional forms of ceramic arts and her creations follow suit to the conventional strata of the art. And that is something very obvious given the time of her emergence on the horizon of the art landscape. Her work always stands out in the crowd howsoever traditional it may be. Her unique perspective to see even the most routine of things grant her work a perfection and edge that no other ceramic artist can claim to have attained with such simplicity. You can find and explore Baete Kuhn’s works at any of the ceramic artists' websites that exhibit ceramic art online. John Glick rose to fame in the early 60s when he created a sensation in the world of ceramic arts with his awe-inspiring creations. Unlike Baete Kuhn, Glick likes to experiment with and explore his subjects and while many of his creations fall under the category of conventional, there is no dearth of collections in his artistic portfolio that surpass the boundaries of orthodox by leaps and bounds. The ceramic artist has had many of his artworks featured in international public and private art galleries and collections. And is renowned for his rustic, earthy themed sculptures that are so widely spread across genres like contemporary, classic, and sometimes even antic. Based in Michigan, John Glick likes to operate from his private studio in the state. The ceramic artist has been actively exhibiting her ceramic works in the artistic circuit since the late 1970s and shot to fame with her ceramic sculptures reflecting human emotions and circumstances. Her largely metaphorical work sets her apart from other contemporary artists of the time. Ellen currently takes art lessons at Art Institute of Boston. There she teaches her students to explore different dimensions of human experience through ceramic sculptures. People explores and appreciates her work at several ceramic sculpture gallery online. Carol Long has devised her own style of sculpting ceramics by seeking inspiration from the flora and fauna around her. She likes to work from her farms and believes that nature is the source of motivation for an artist. Her work envisages a blend of nature’s creations into those of her own. This unique style fairly complements her stunning choice of color combinations and designs. You can easily find her work across many ceramic artists websites or at any online sculpture gallery. Victor Spinski can easily be classified as the greatest artist of his time. Coming from an age when experimentation and innovation in the ceramic sculpture landscape were at their peak, Spinski adopted an approach of replication of non-ceramic objects to their ceramic versions. His subjects included regular stuff and were brought down to ceramic sculpture with an infallible skill of a practiced artist. Spinski’s works are especially popular for their technical precision and diligence. Even five years after his death, his work is still gaining the interest of audience. You can explore his art across almost all the ceramic art galleries online. Art is a form of indulgence for normal human beings and artists are our mediators to the world of arts. And while we appreciate and savor art at its best, it is important to credit and remember the artists, too. We hope this article intrigued your interest in the life and works of creators of ceramic arts. You can find and explore more artists and their works online at any art gallery on e-stores like Showflipper. 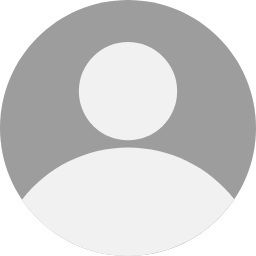 Some of these sites even let you interact with the artists behind the creations featured on them where you can ask them questions and get responses. So the next time you scroll the internet for cool stuff, do visit an online ceramic art gallery!